Scones, always welcome on any tea/coffee table! In a large bowl place flour, sugar and a pinch of salt. Add cream and lemonade and mix with a cutlery knife to bring together, do not over mix. Your dough should be slightly sticky. Turn mixture onto a lightly floured workbench and lightly kneed until combined. Press the dough out with your hands to a 2cm thickness. 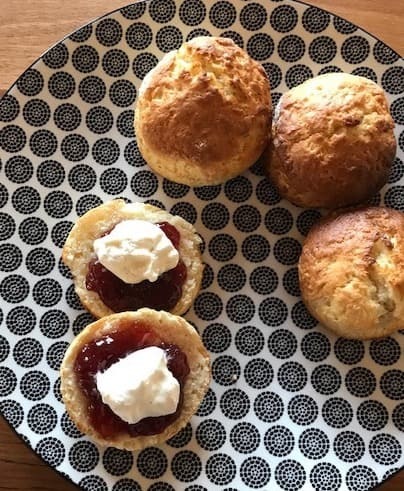 Cut out scones with a 6cm round cutter. Place on baking tray lined with baking paper and brush the tops with milk. Bake for 10-15 minutes or until lightly browned.